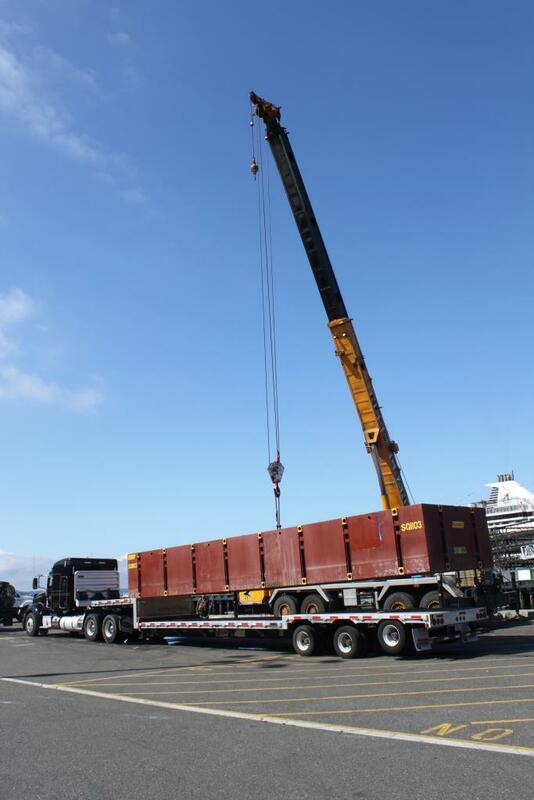 Seafair Breasting Barge Installation - Global Diving & Salvage, Inc.
Seafair is a long-standing Seattle tradition, and Global Diving & Salvage, Inc. is always proud to be a part of it. 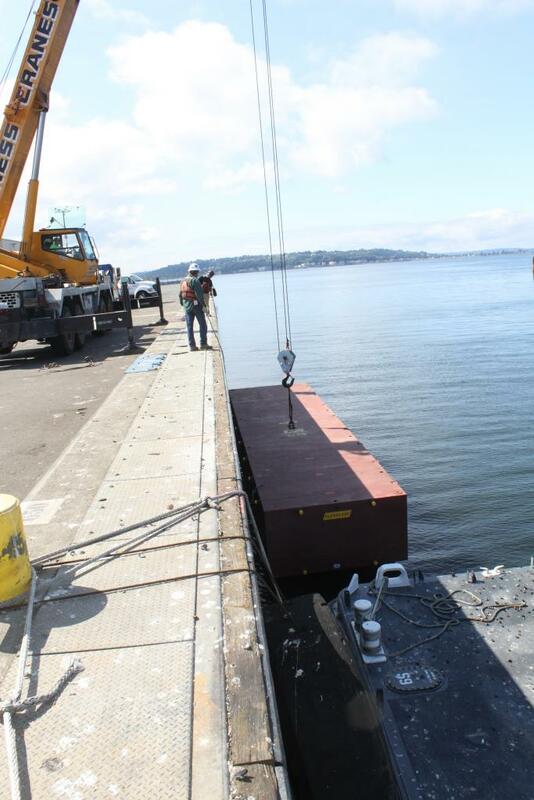 At the 2016 Seafair, Global’s Marine Services Division provided breasting barges and security boom to support to arrival of several US Navy ships that took part in the celebration. 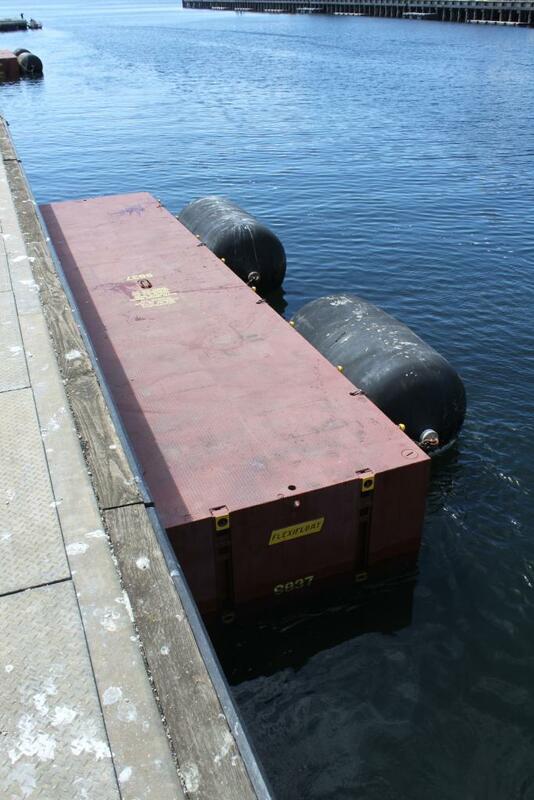 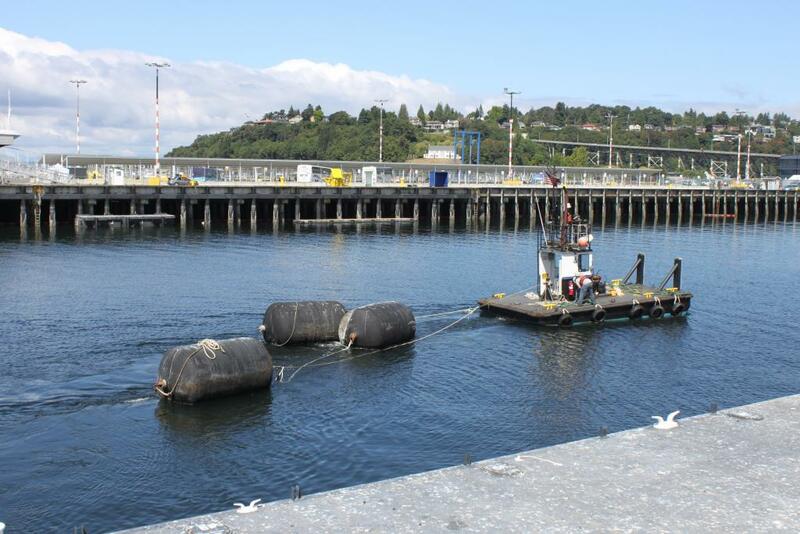 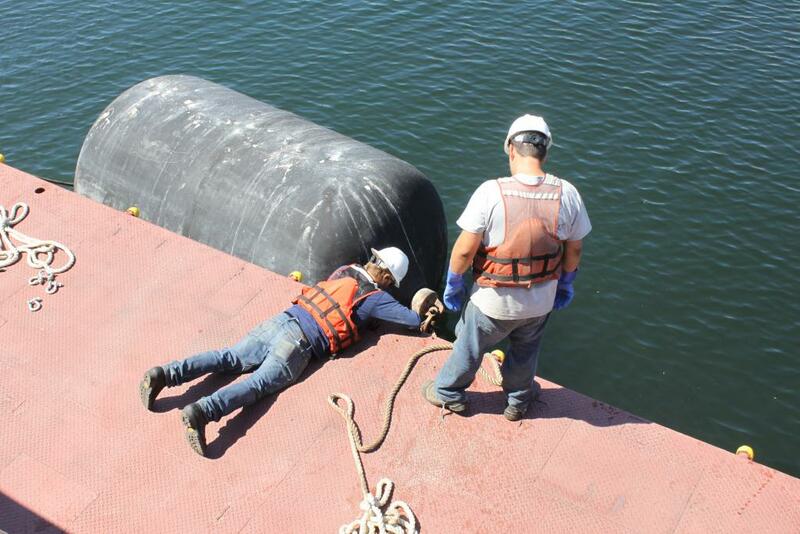 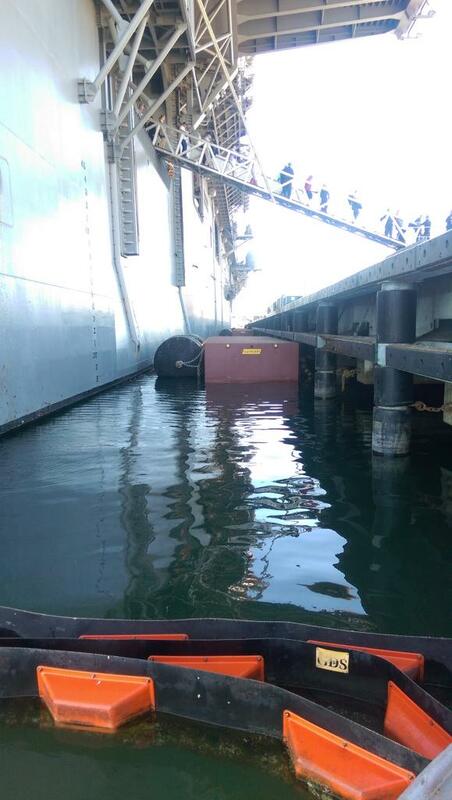 Global deployed sectional barges, then Yokohama fenders were affixed to the barge and the barges were secured to the pier piling to fend the Navy ships from the pier. 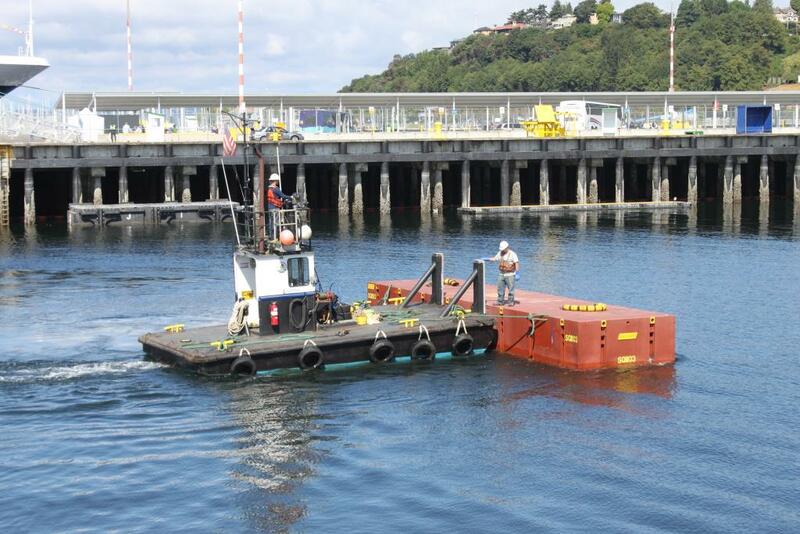 Once at berth, Global crews used their workboats to surround the ships with a security boom to prevent water craft from coming alongside the vessel.